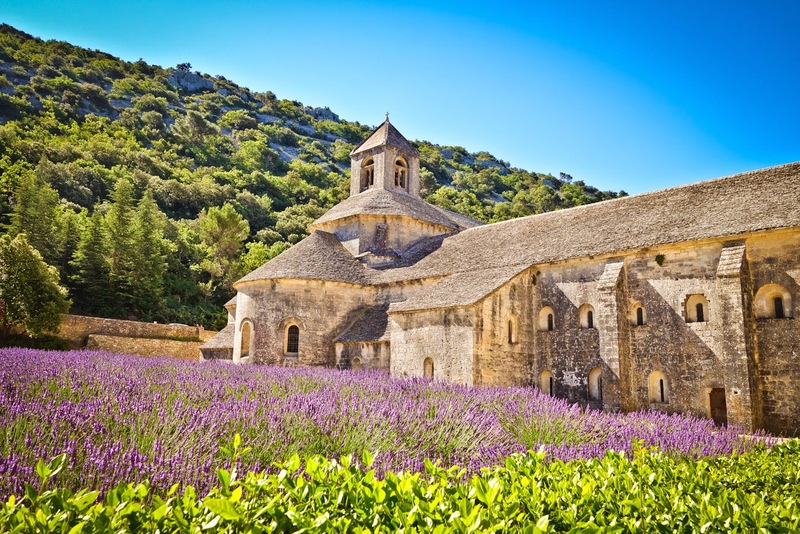 Located near the beautiful village of Gordes in Provence, sits the Cistercian Abbey of Notre Dame de Sénanque. The Cistercian monks always looked for secluded wooded valleys to build their monastery's and the location of Sénanque was perfect as the valley was and still is well hidden from the world. Pierre de Mazan arrived in the vale of Sénanque on July 9th, 1148, accompanied by a dozen monks with intentions to build a monastic Cistercian abbey and that is just what he did. 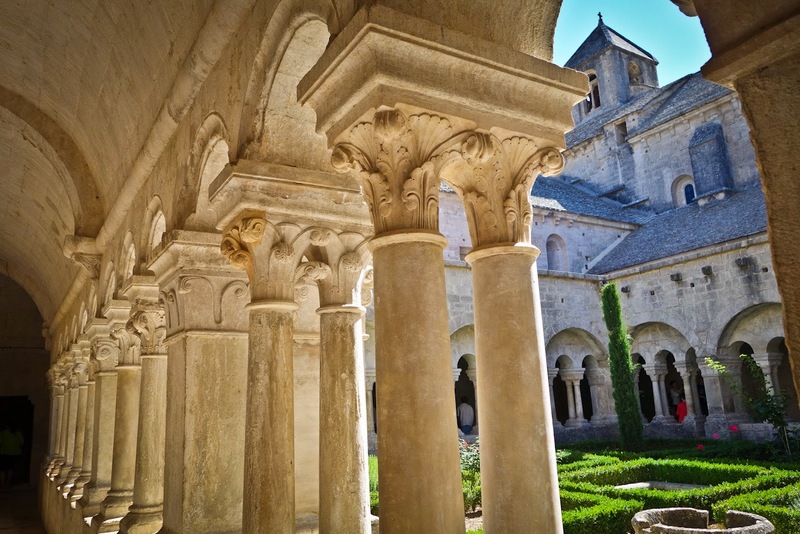 Today the monks of the Abbey aim to continue in the footsteps of their Fathers who led the Cistercian monastic life in the monastery for centuries. Although they maintain many values of their medieval forebears, the commitment and profession of monastic vows are now the same for everyone - unlike the two "sorts" of monks that existed in the 12th century: choir-monks and lay brothers. Today all monks at Sénanque lead the same life which involves liturgical prayer (sung in the church), prayer alone with the Word of God (Lecito Divina) and manual and intellectual work. 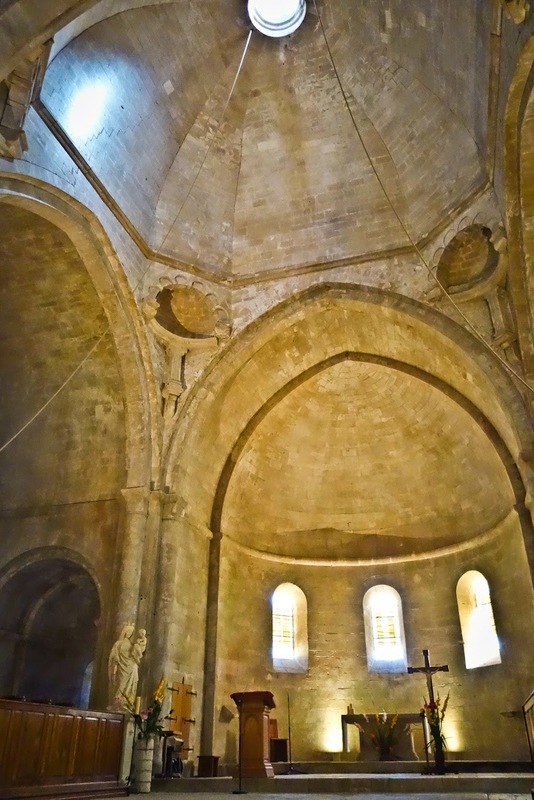 The church itself is in the traditional Cistercian way, done in extreme simplicity. The church is laid out in the shape of a cross. The monks' prayer and worship must not be distracted by decoration. Only light is allowed to enter and transform the space. The Cloister forms the centre and is the heart of the Abbey, a passageway linking the various parts of the monastery. But above all, the cloister is a place for meditation and reading (although in the summer you can hear the hum of foreign tour groups from around the world). The cloister is an enclosed courtyard, surrounded by four alleyways which open into a garden. Each alleyway has 12 arches and forms a full circle. The capital of each column is decorated with a different shape based on flowers or foliage. 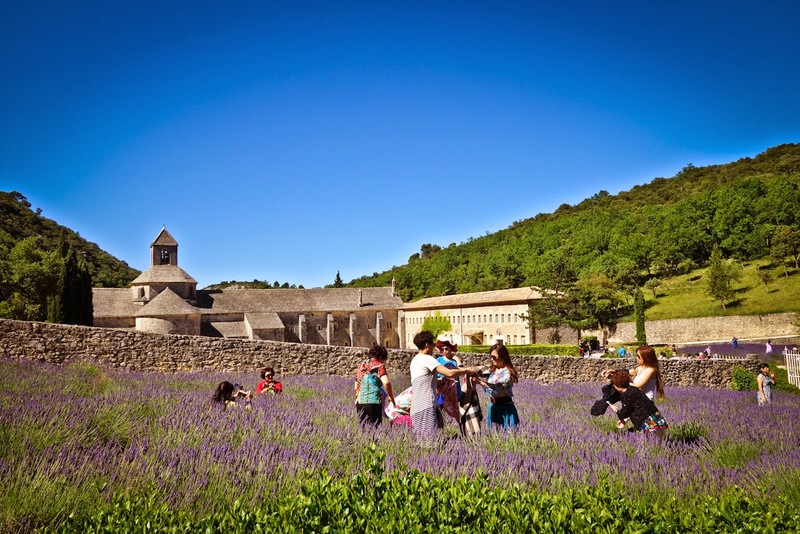 The Abbey is also home to one of the most famous lavender fields in the region. Although the field is small, hundreds of people flock to the site to see the plant in full bloom. 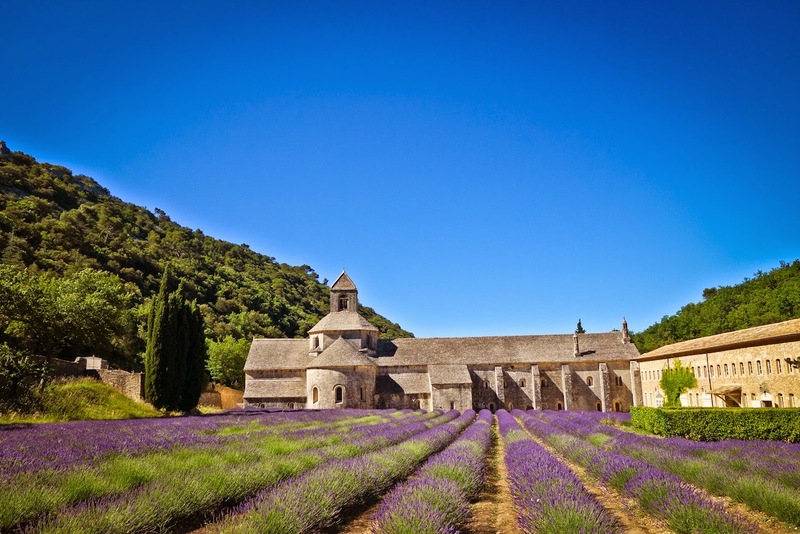 The monks also cultivate the lavender to make products such a room spray, soaps, lotions etc. The Abbey is open daily to visitors from 9:45am-11:00 am with the exception of Sundays, Catholic holidays and is closed to the public in the winter. 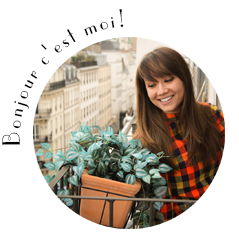 Guided tours are available in French. Silence and a proper dress code are enforced and the website strongly urges, no cycling gear! A small cost is required to visit inside the Abbey but it is free to walk the grounds and visit their extensive library (gift shop). Although there are highly visible signs to keep out of the lavender fields, some tourists just cant help themselves and invade the fields for that perfect photo opportunity (or pick the plants for a little souvenir... and even rub handfuls of the plant on their clothing!) I would highly advise against trampling through the fields, as we should respect the monk’s home as well as the well being of the lavender plant! Adiuva nos Deus!